Pulled the trigger on this one today! I am a bit of a watch whore myself. A couple of mine. Last edited by Jasonj84; 10-07-18 at 04:20 PM. Decent deals on their site directly today if anyone is interested. I just picked up a little weekend warrior for short money. I’m so against this. I’m sorry but that’s how I feel. And believe me.... I can spot a fake a mile away and others might too. If you’re in the business world... well others will see and think the same way. Last edited by Charlief; 11-27-18 at 05:55 AM. Not sure if you’re mocking me or not believing me. 25 years in the jewelry business I think gives me the street cred. I was thinking about it but went with Joma shop instead and purchased my Omega. I simply didnt want to chance buying a fake and it crapping out on me 5 months later. As no one I "trusted"( reddit, this board) could say what was reputable or so . Looks wise i thought who will really look at it within 4 feet? a buddy? my wife? I have no problems with them knowing its fake. The watch will be "hidden" by a sleeve/ jacket etc..
And learn to spell it correctly too. Breitling. Pretty sure the misspelling was intentional to make the point of him looking for a fake. I'm in grad school so my budget is negative dollars. I do know how to spell it; I just didn't want it to be obvious in case it would get NESR into trouble. Hence the "If you know what I mean"
I know you guys are into the jewelry/heirloom watches, but found this noteworthy. Been wearing Timex digital watches for a long time as I use the alarms, countdown timer etc and switched from Casio as they are easier to read. Most of them gain or lose 10-15 seconds a month. 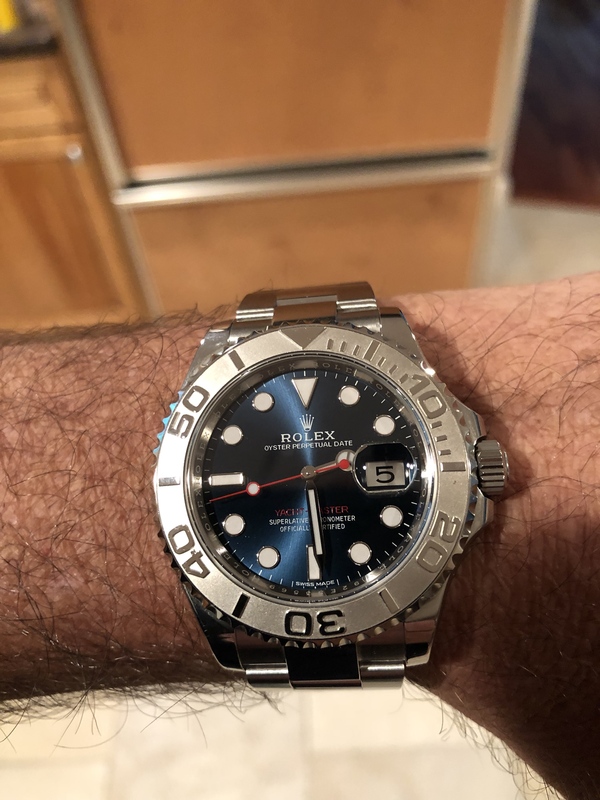 Bought a pretty basic Expedition model (tw4b12600) in January and set the time at time.gov periodically. Set it two months ago, and today it is less than one second off. Pretty remarkable for $40. Last edited by Garandman; 12-02-18 at 07:29 AM. I actually have an Expedition that was given to me as a gift I-don't-know-how-long-ago. As long as there's a decent battery in it, that fucker has always been spot-on. If I know a watch will take a beating, it's STILL my go-to. I've gotten a handful of new straps recently in order to switch it up with my watches without buying whole new ones. I also got a barrington 4 watch winder but haven't set it up yet. Link to that red rubber strap? This is for my specific watch. They have various colors. They also have versions that use your factory bracelet clasp but I didn't want that. Checkout Rubber B Watch Bands & Straps | The Ultimate Rubber Strap for nice rubber straps. I've got several. I have about a dozen straps from her. Not the fastest but the wait is worth it. Jenna does great work. This is a watch a person either hates or loves. 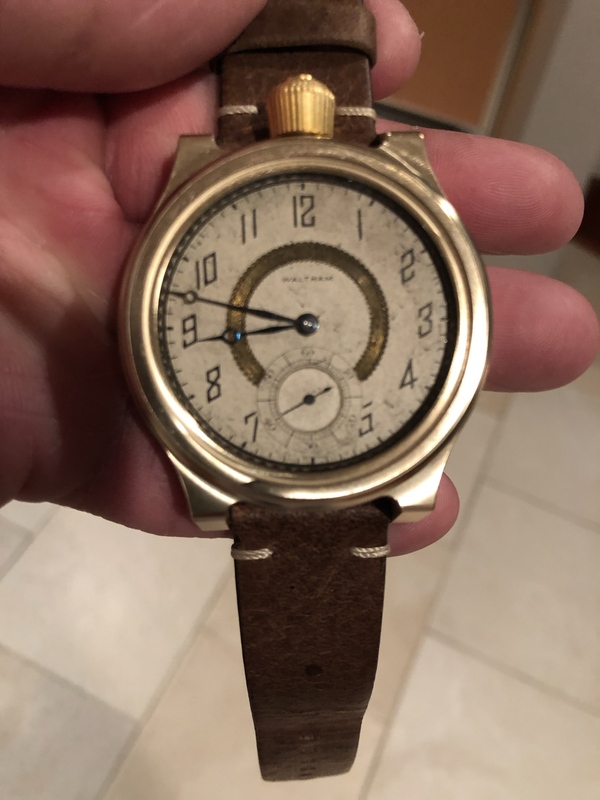 For me it’s more about the history of this watch. 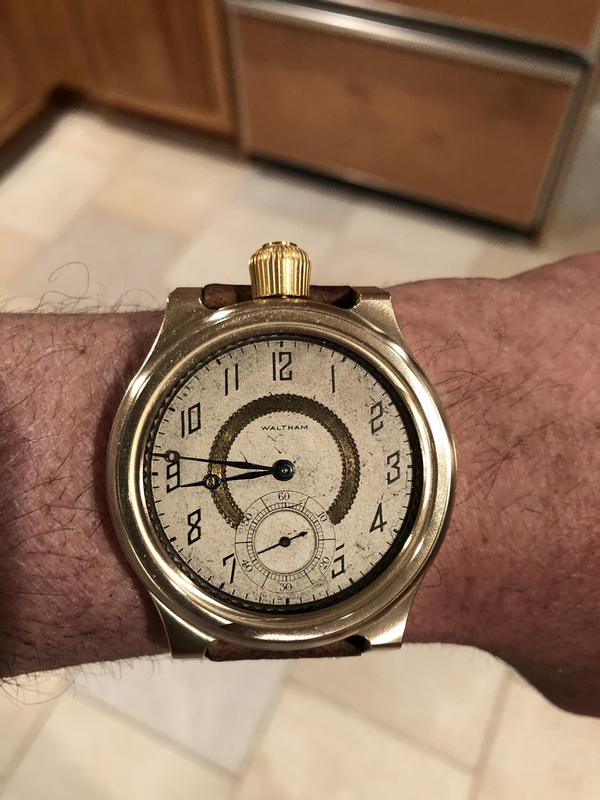 It started out as a Waltham pocket watch made in 1920. 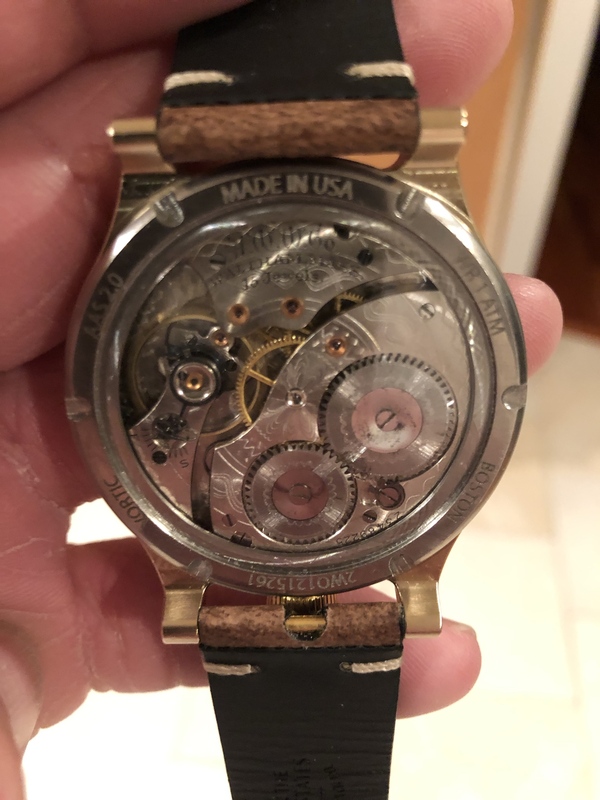 The watch workings were completely redone leaving the face with the original patina. It’s mounted inside a solid bronze case with an exhibition back and 14kt crown. It’s unique and the thing I like about it is I probably won’t bump into anyone that has one. Page generated in 0.173 seconds with 18 queries.